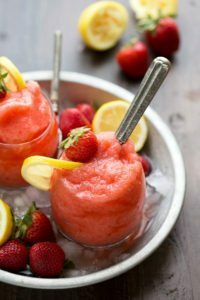 These delicious four-ingredient sparkling water beverages are flavored like a cherry limeade with a fraction of the calories AND they use all real ingredients. I’m excited to be working with Born Sweet® Zing™ Stevia Sweetener for this recipe. Try NEW Zing™ Zero Calorie Stevia Sweetener for a taste of sweet excitement! We had a day in the SIXTIES last week and so naturally I had an icy cold beverage to celebrate. ?? Because cold drinks and icy treats are something I look forward to ALL winter long. The toddler is the same, except he’ll eat ice cream, slushes, and ice-cold smoothies in the dead of winter. I tend to avoid that just because I can’t seem to warm up after it! 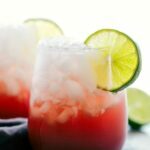 I am so excited to share this delicious icy cold celebration beverage recipe with you today. It’s literally a five-minute beverage to make, it only requires FOUR ingredients, and it’s a light beverage that won’t make you feel sick after drinking it! In fact, the base is simply key-lime flavored sparkling water. So it’s basically it’s a fancy and totally flavorful cherry-lime sparkling water beverage. So I’ve already mentioned there are only 4 ingredients and the base is a key-lime flavored sparkling water (0 calories). You can pretty much use any kind of sparkling water here, but the key-lime gives this beverage a stronger lime flavor. Annnd key-lime sparkling water just happens to by my favorite ever. It’s delicious in this drink. The next ingredients are the two juices you add. First, cherry juice. I use 100% cherry juice for this beverage. However, a lot of times cherry juices can be deceiving by saying they are 100% juice but there will be a mix of all kinds of juices. To keep a very strong cherry flavor, check the label on the cherry juice and look what is listened in the ingredients section. It should list only one ingredient: plain cherry juice. If you have one with filtered water it will be a more diluted cherry juice so you’ll want to increase the amount in this beverage. And the other juice — freshly squeeze lime juice. Juice a couple of limes and add it in. You can also finely grate some lime zest for a stronger lime flavor if desired. The final ingredient to this drink is what makes it sweet. 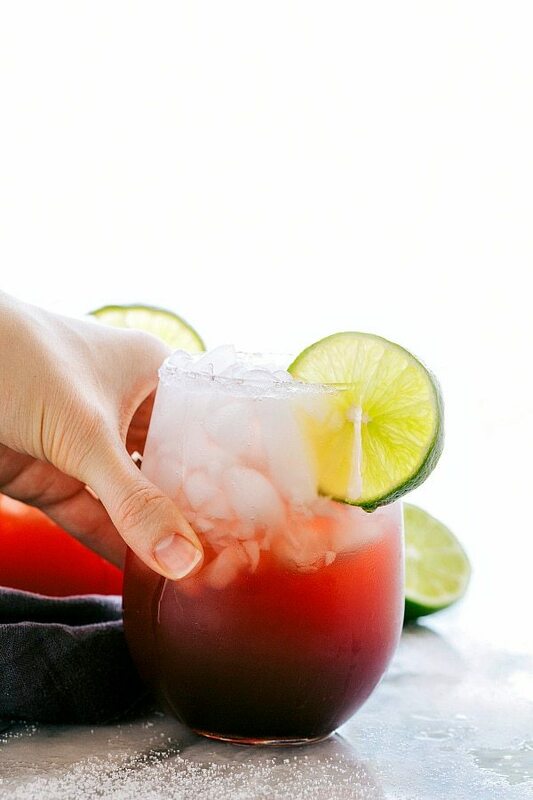 The sparkling water, cherry juice, and lime juice should all be non-artificially sweetened, so you’ll definitely want a little bit of sweetness added. (Otherwise the drink will be very tart!) 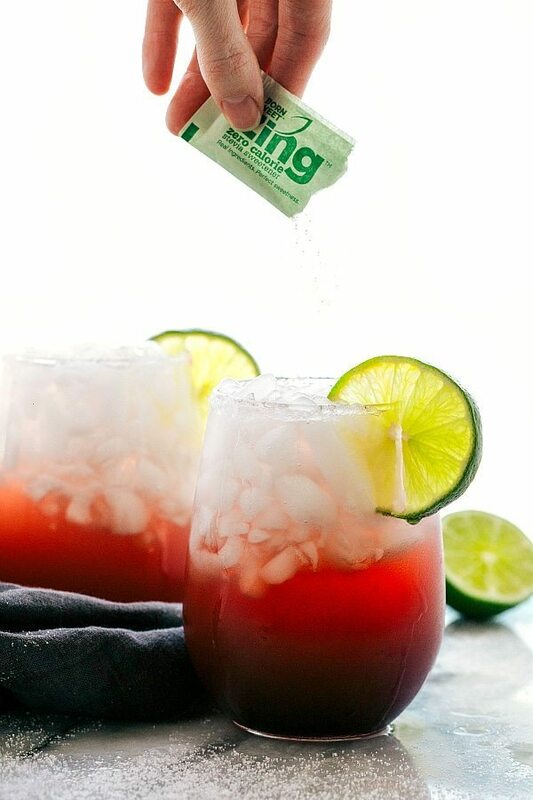 For this drink, I use Born Sweet® Zing™ Zero Calorie Stevia Sweetener. I LOVE that this sweetener is made only with real ingredients (stevia plant??) which results in a perfectly sweet taste WITHOUT an artificial funky aftertaste. Plus it’s zero calories making it a great sweetener for someone that wants to live a healthier lifestyle without sacrificing a little bit of sweetness. 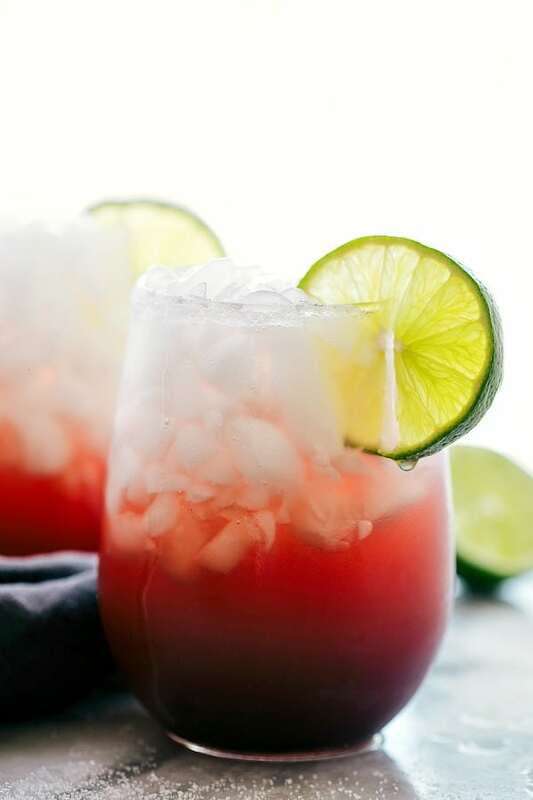 It’s perfect to go in your morning beverages, smoothies, or a refreshing sparkling cherry limeade! ALSO, right now, you can get a Free Sample of Zing™ Zero Calorie Stevia Sweetener here. Make sure and visit the Where to Buy page to find Zing™ products in a store near you. Fill up a glass 3/4ths the way full with pebble or crushed ice. 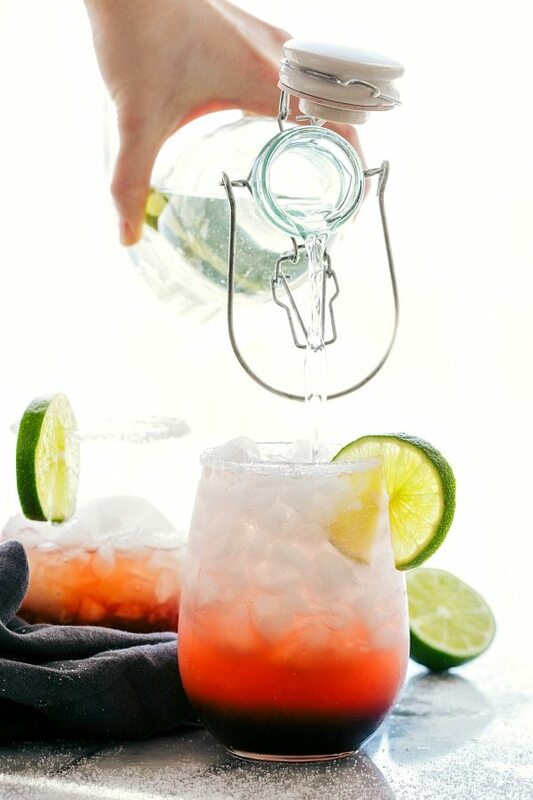 Fill up the remainder of the glass with sparkling key lime water. Add in 1-2 packets of zero calorie Stevia Sweetener. Garnish with a slice of lime if desired. *Check the ingredients to ensure there is ONLY Cherry juice (no added filtered water or other juices) to get the strongest cherry flavor. 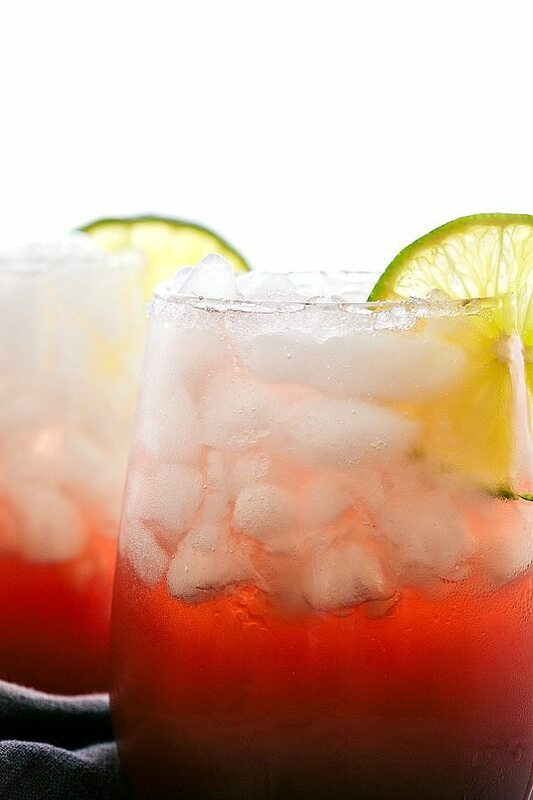 Could you post pictures of the cherry juice and the key-lime sparkling water you use? I could find neither today at the store. 🙂 Sounds yummy! Can’t wait to make it. Hey Sandi! Thanks so much for asking! I thought it would be easiest to link to some images. Here’s the exact cherry juice I use and here is the key lime sparkling water. I’ve found both these products at Smith’s (Kroger stores) and Wal-Mart. Hope that helps! This look so refreshing! I am definitely ready for spring and warmer weather, because it means time on the patio with a nice cold drink! Love the looks of this one! Yes I cannot wait for warmer weather! 🙂 Thank you so much Beth!! You are welcome!! Thank you Amy!